«« previous: Roppongi Hills Dog Boutique, Etc. 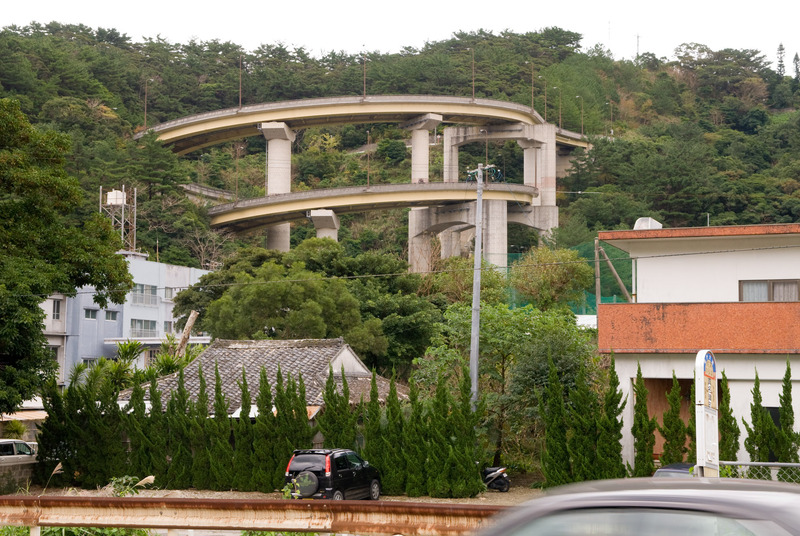 While heading to the airport at the end of our trip to Amami (more Amami posts), I noticed this amazing “bridge ramp thingy” (I'm not really sure what to call it) while driving through the city of Naze, off in a direction we weren't heading. I've never quite seen anything like it. It's definitely on my list to check out next time we go to Amami. Looks like the ramp structure in a parking garage. Serves pretty much the same function according to your Google Map.